A special guest post by Mélissa Dubé, Outreach and Marketing Manager, Fairtrade Canada. 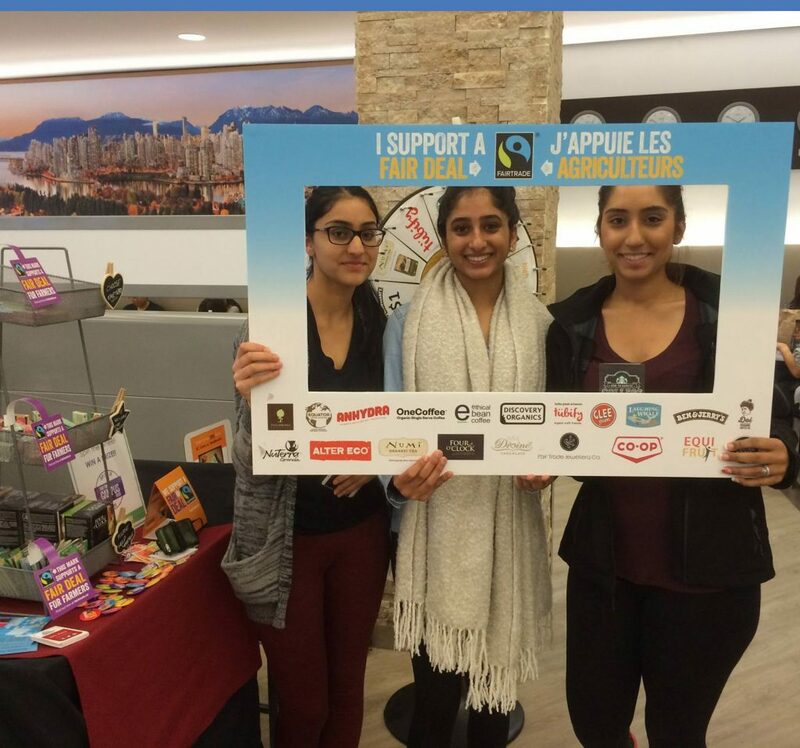 Meanwhile, in Canada… more than 50 campuses across the country are getting ready for the 5th annual edition of Fair Trade Campus Week! 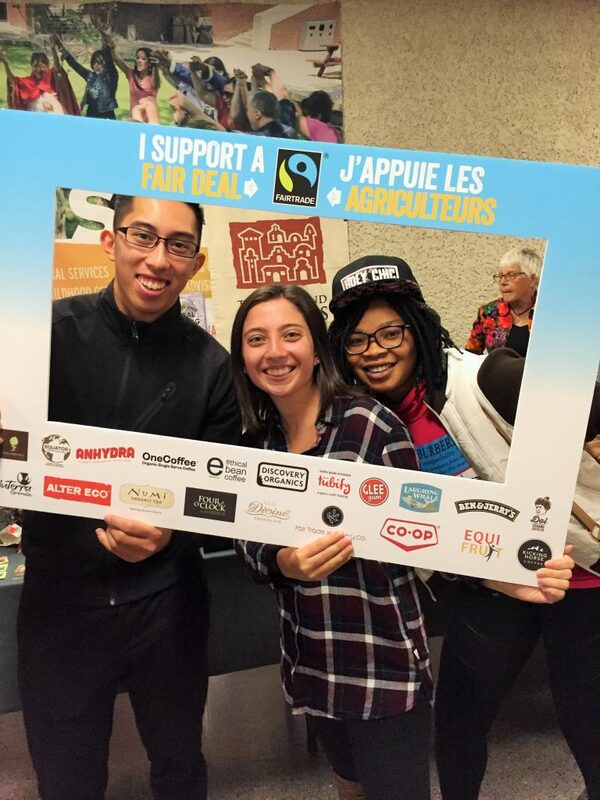 Campuses in all 10 Canadian provinces are gleefully working to prepare all sorts of dynamic activities to raise awareness about Fairtrade. What is exactly Fair Trade Campus Week, you may wonder? Fair Trade Campus Week is a fun-filled week bursting with activities where Campus life and businesses intersect to create tremendous educational and promotional opportunities for all. Each participating campus comes up with different activities to talk about Fairtrade. To give you an idea, last year 20 companies and 43 campuses participated with more than 23,000 people receiving Fairtrade product samples and many more who were engaged through different initiatives, including social media. 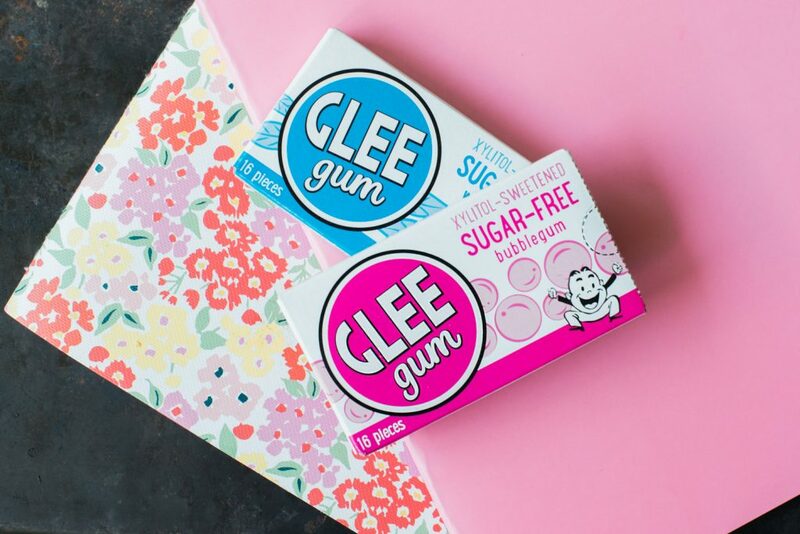 To support Campuses, 23 companies (including our friends Glee Gum!) have generously agreed to donate Fairtrade certified products. 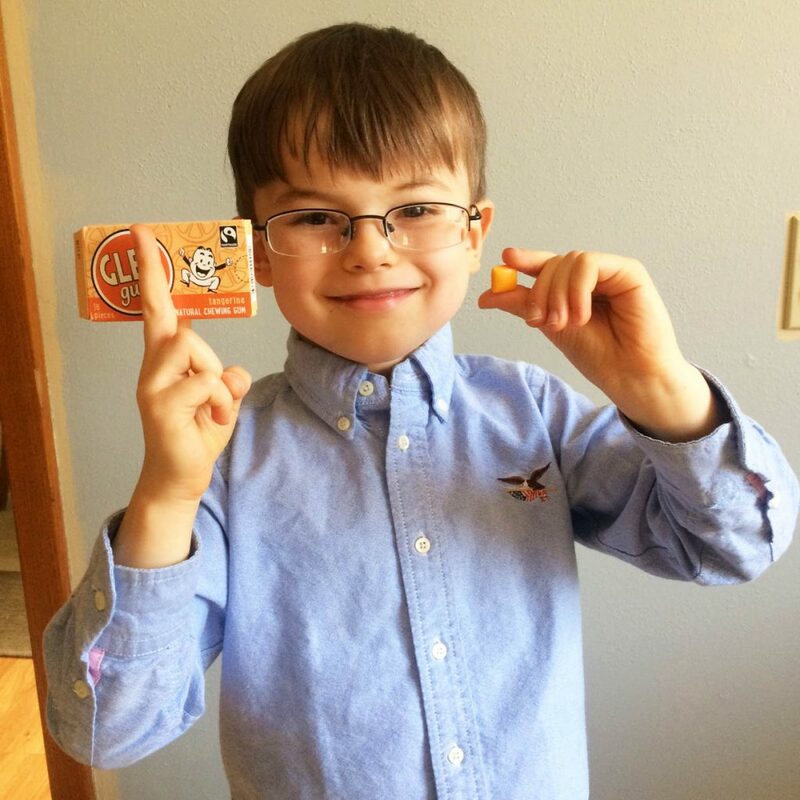 Imagine that: students across the country will learn about Fairtrade while happily chewing Glee Gum samples! Biggest Fairtrade bubble gum of all time next, perhaps? Why do we do Fair Trade Campus Week? Find out more about the impact of our work by visiting our website and our sister organization Fairtrade America for more details. – On Tuesday, September 26 at 4pm ET, we invite everyone to take part in our first ever Twitter Chat to talk about Fair Trade Campus Week. Participants could win a bag of Fairtrade products! 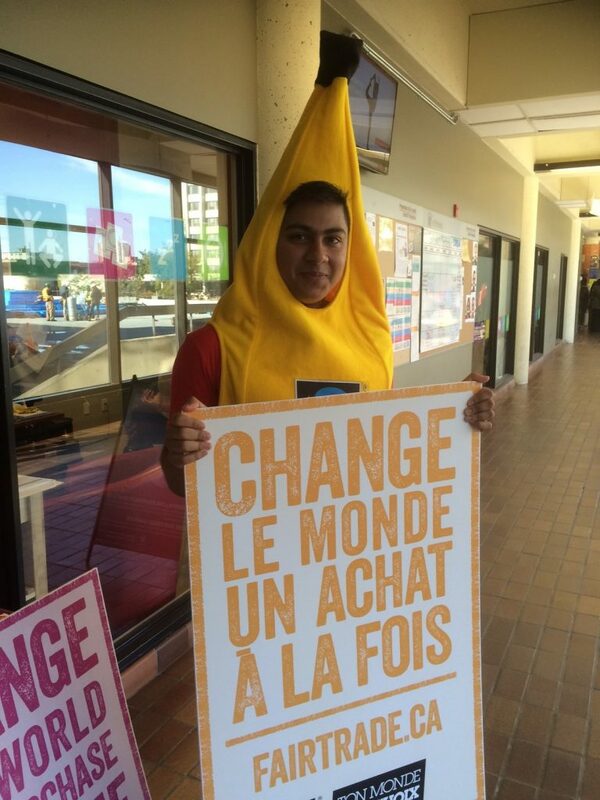 Make sure to use #ChatFairtrade and to follow us @fairtradecanada. Bookmark our Tumblr page to stay in the loop and make sure to use the hashtags #FTCampus and #CampusÉquitable! 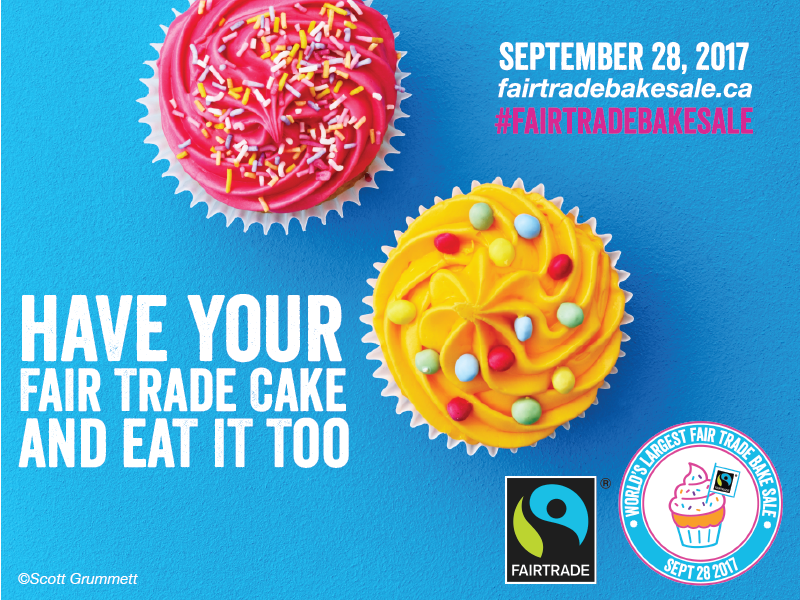 Specific to the World’s Largest Fair Trade Bake Sale, be sure to use #fairtradebakesale and #ventepatisseriesequitables. Happy Fair Trade Campus Week to all! Here’s a chance for THREE lucky ducks to win free cases (12 boxes) of each of our two new flavors: Sugar-Free Wintergreen and Sugar-Free Bubblegum! Monica is hosting a Gleeful giveaway on her Facebook page, Monica Nelson Health and Fitness, now through Thursday, 9/21/17 (3 pm ET). Entry is about as quick and easy as it gets. Check out the details here. Good luck! No word on where he got his nickname. And, his father reports that the glasses he is wearing are not, in fact, his glasses. Here’s what we do know about this mysterious fan. He prefers his farming to involve pigs, chickens, and mules. He prefers his machines Rube Goldberg-style. And he prefers his chewing gum tangerine-flavored. Fair enough. Hats off to you, Ham O.! 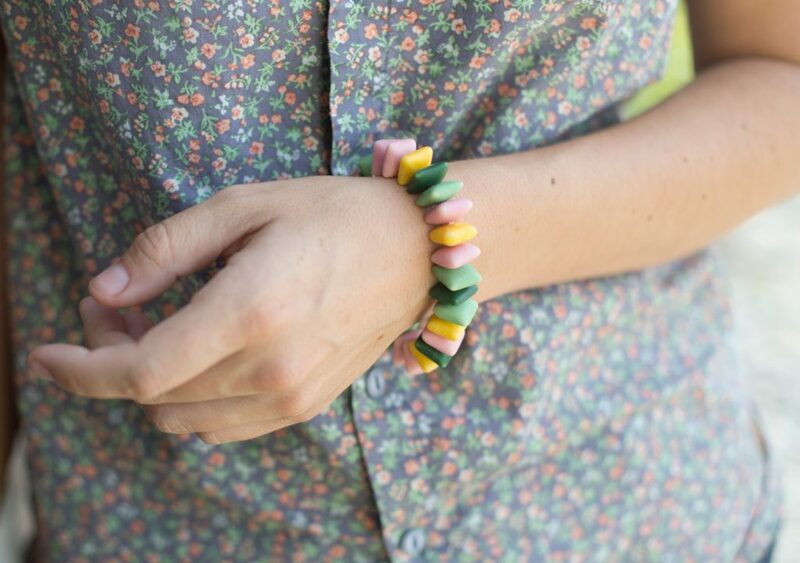 Remember those sweet candy necklaces and bracelets you enjoyed as a kid? Well, we’ve brought them back, better than ever. 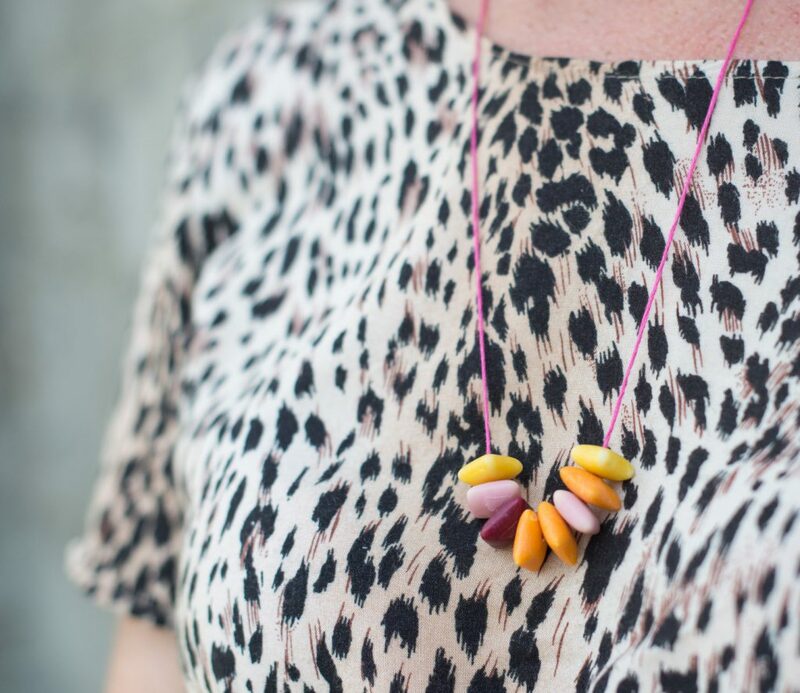 Our quick and easy DIY version uses all-natural chewing gum for the “beads.” With Glee Gum, you can feel good knowing that your candy jewelry has been made without plastics or chemicals. That’s more than can be said for most jewelry out there, candy or otherwise! 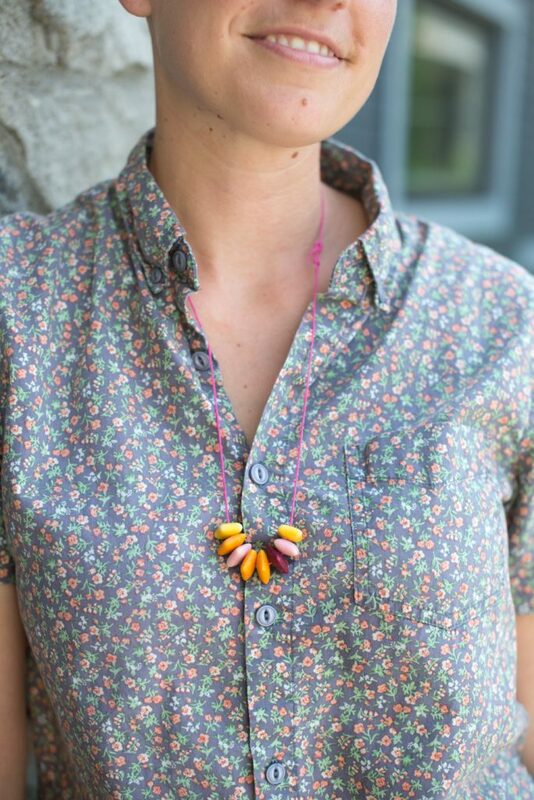 Surprisingly, we wore these necklaces all day and experienced no melting, color transfer, or similar issues. We were pleasantly surprised with their resilience! Of course, we recommend that you use your best judgement depending on what else you’re wearing. To begin, assemble your ingredients. Pick out the gum colors and flavors of your choice. 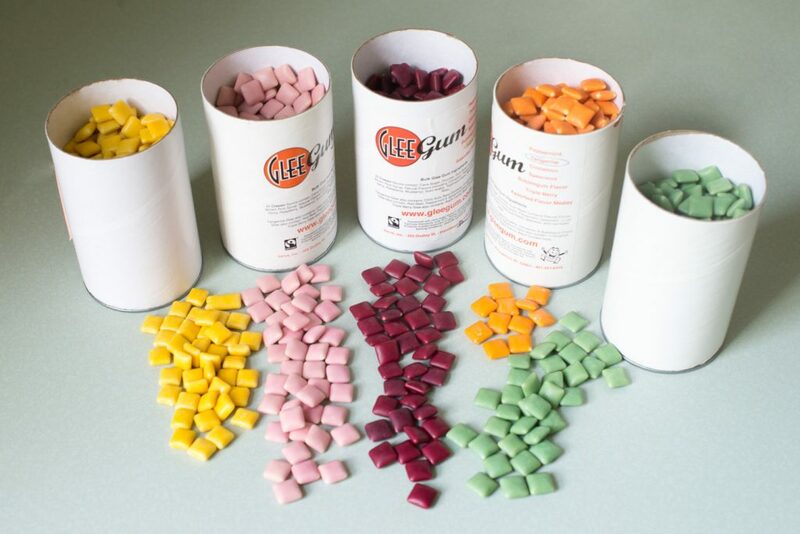 Here, we used our Bulk – or should we say, party-sized – tubes of Classic Glee Gum, but naturally you can use gum from boxes or pouches, too. 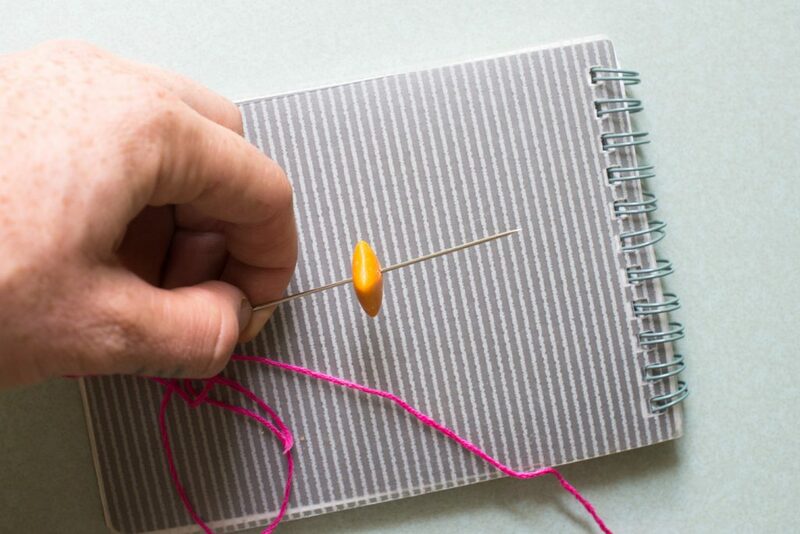 *We used a quilting needle (similar to this one) that we happened to have on hand. You can use a shorter needle as well, but may a longer one makes the process easier. Consider how big you’d like your bracelet or necklace to be. Cut the thread so that the strand is at least a few inches longer than that, to give you some wiggle room. 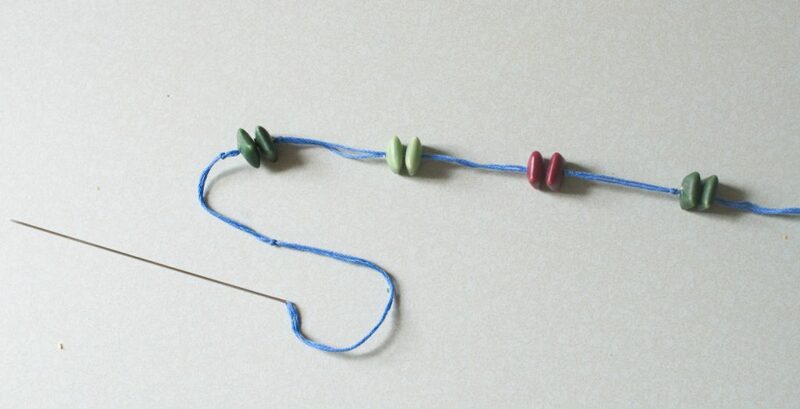 Then thread the needle and tie a knot at one end, leaving extra thread after the knot. 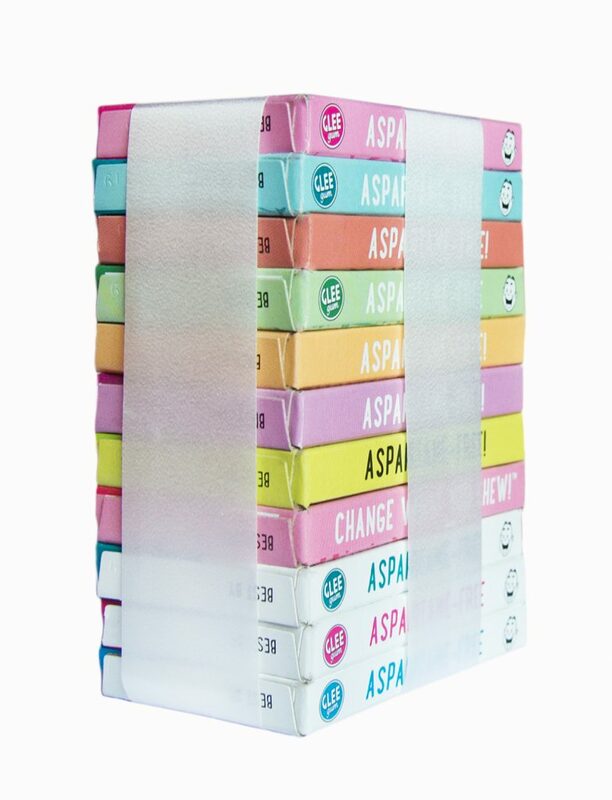 Place a piece of gum down on the pad or notebook, and pierce the candy coating from one side. Flip the needle over, so that the eye of the needle is against the pad. Push the piece of gum down the length of the needle. If the candy coating cracks a little, don’t worry; that happens. It may take a few tries to get it right! 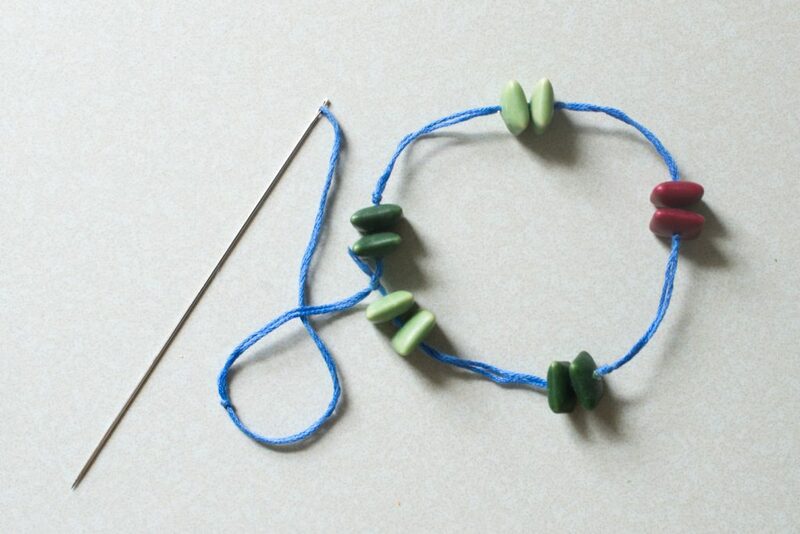 Once you’ve filled your necklace or bracelet with as many gum “beads” as you’d like, make a final knot and tie both ends together with the loose threads. Snip off any excess thread as needed. Le voilà! Variations: you can mix up the colors and style all different ways, and color coordinate your design with any outfit. 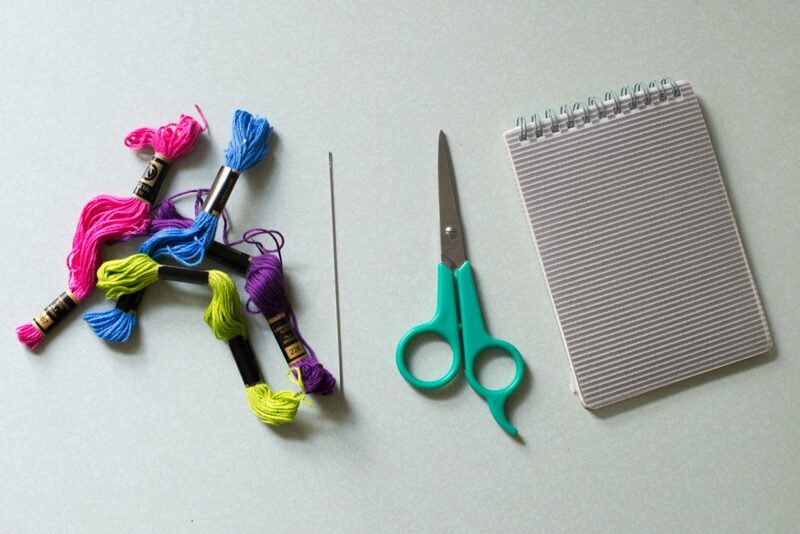 For a mod look, try threading just a few pieces and keeping the length long. 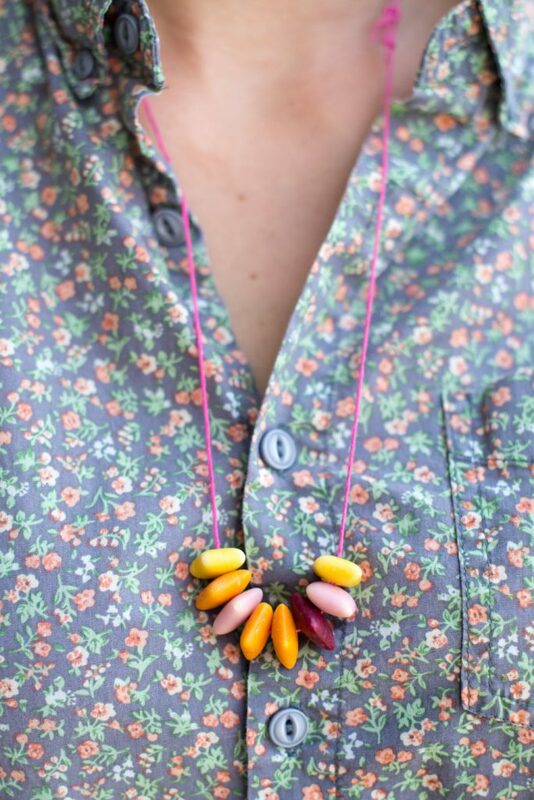 This makes for a cute, chunky necklace. Bracelet and anklet versions work great, too! Another way to change it up: double thread the needle. 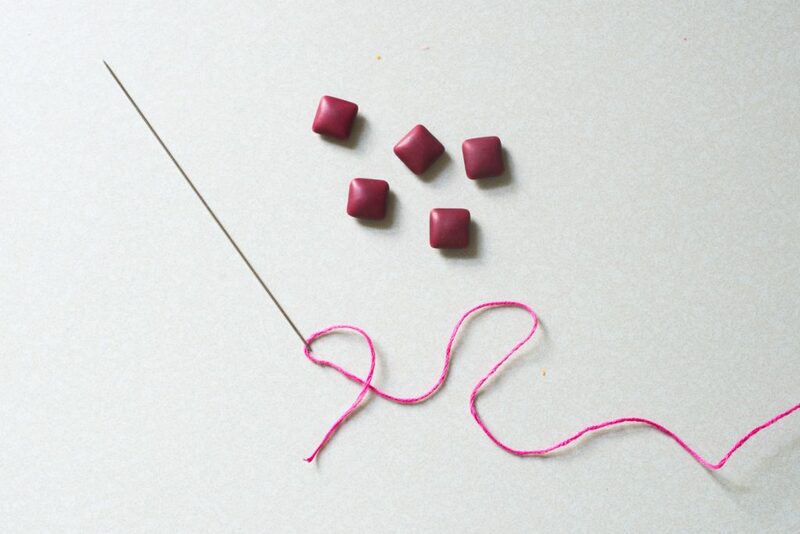 Thread a couple pieces of gum, and then tie a knot afterwards. Leave about an inch or so of space, tie another knot, and thread a couple more pieces of gum. Have fun and shine on! And, be sure to tag us in any pics you post so that we can admire your beautiful creations. We can’t wait to see you sparkle! Or, don’t feel one way or the other about Tweeting, but happen to have a Twitter account? Great! Login Tuesday, 8/15/17 at 1 pm ET for a TWITTER PARTY with our friends from Naturally Savvy. It will be a swingin’ shindig filled with fun discussions, great prizes, and lots to chew on. And don’t forget, Twitter parties mean you can attend in your pajamas if you want to. So, be there or be square! Follow hosts @NaturallySavvy, @AndreaDonsky, and yours truly, and get more details here. This month, we’ve got another surprise for you! We are delighted to debut three new varieties of Sweet Stacks – handy, dandy towers of 16-piece Glee Gum boxes. Pick from the All-Flavor Sweet Stack (11 boxes, 1 of each flavor we offer), the Classic Sweet Stack (6 boxes, 1 of each sugared flavor we offer), or the Sugar-Free Sweet Stack (5 boxes, 1 of each sugarless flavor we offer). They make great gifts, too! And don’t forget, all web-store orders still include free mini samples of our new flavors (as supplies last). Hope your summer is going swimmingly! Sugar-Free Bubblegum and Sugar-Free Wintergreen. 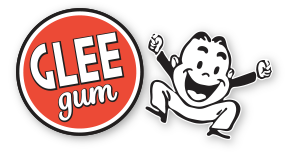 We heard your requests for a sugarless version of our classic bubblegum flavor and for another sugarless mint option. So, we worked hard to create the right recipes for each. We think the results are delicious – but we sure hope you’ll try ’em and agree! 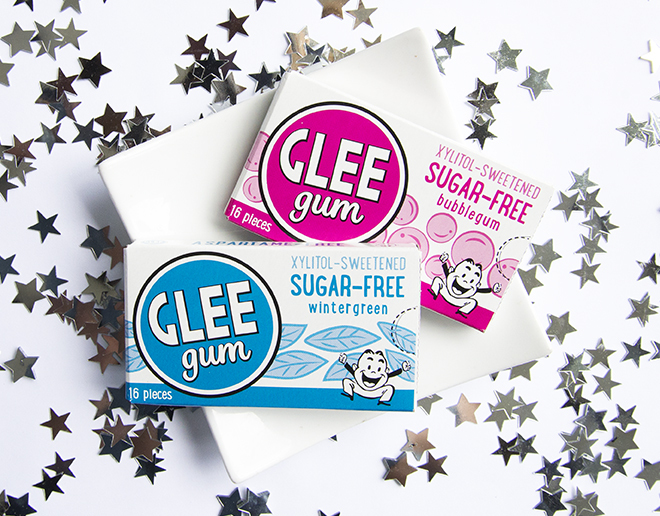 Like the rest of the Sugar-Free Glee Gum line, both new flavors are available in boxes, bulk tubes, pouches, and minis. Plus, all web-store orders will receive free mini samples of the new flavors, all summer long (as supplies last). 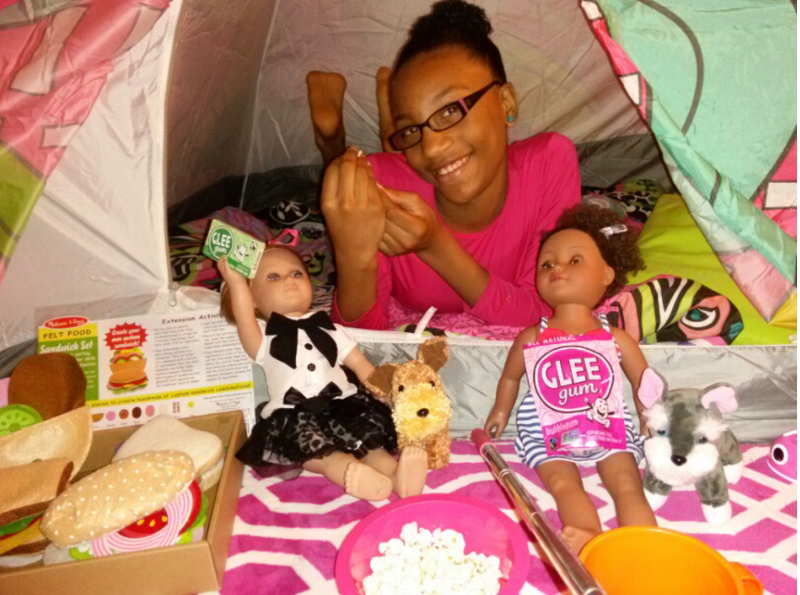 We’re so grateful for chums like Kaylee and her mom. Thanks! It’s not easy being green, especially when it comes to gum. Most gum is chock-full of artificial ingredients and packed in un-recyclable blister packs. But we prefer natural gum, made with natural tree sap and packed in recyclable materials. That’s why we’re especially pleased to offer Bulk Glee tubes. Each tube holds a pound or so of loose Glee Gum in any flavor, as well as assorted flavor medleys. It’s our biggest size, at the best value, with the least packaging. Three cheers for Bulk Glee! When you chew gum, what are you really chewing? The answer varies widely, depending on the gum. But writer Beth Terry has long been concerned with one potential ingredient in particular: plastic. And believe it or not, that ingredient happens to be in a lot of gum. Synthetic materials often can be found in gum base, the indigestible part of gum that provides chewy texture. But the white, gooey stuff pictured below also provides chewy texture. 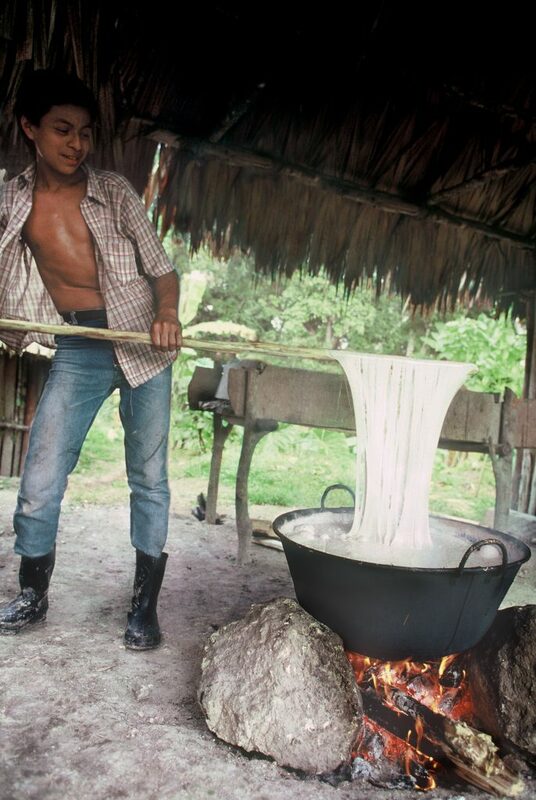 It’s called chicle, and it’s the sustainably harvested tree sap that we use to make Glee Gum. 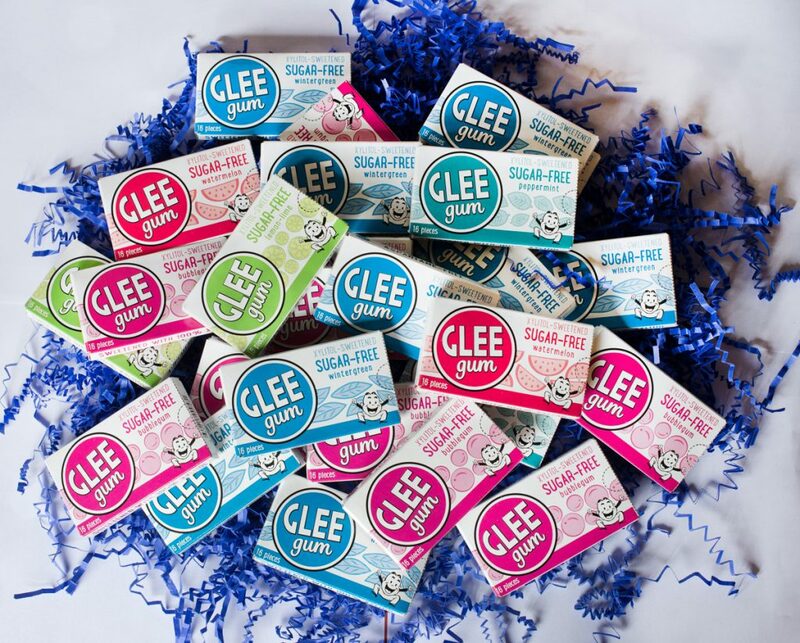 On her site My Plastic-Free Life, Beth Terry interviews our company president about how Glee came to be a plastic-free, natural alternative to conventional gum. 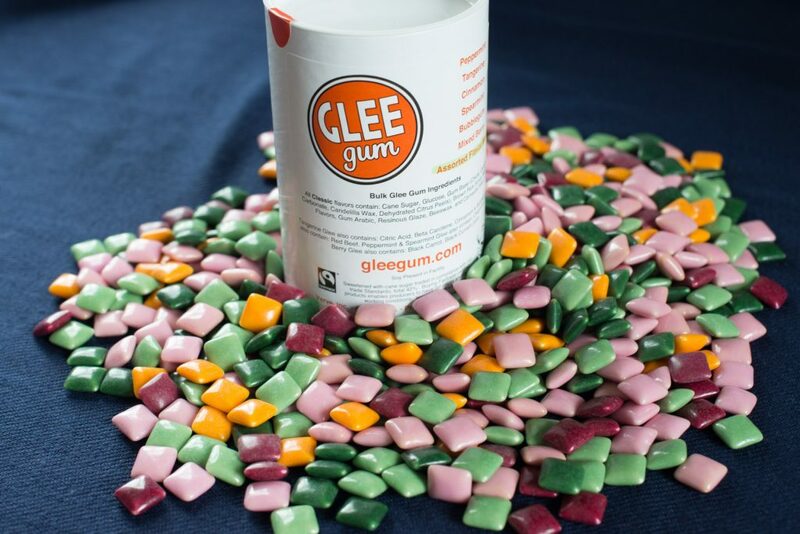 Read on, and be sure to check out our page about gum base, too. Either way, we say, FULL STEAM AHEAD. And thanks for chewing (and sharing), Kathleen! We’re delighted to share a guest post by Kyle Freund, Digital Content Manager at Fairtrade America. Last month may have been Fair Trade Month, but why not celebrate all year long? 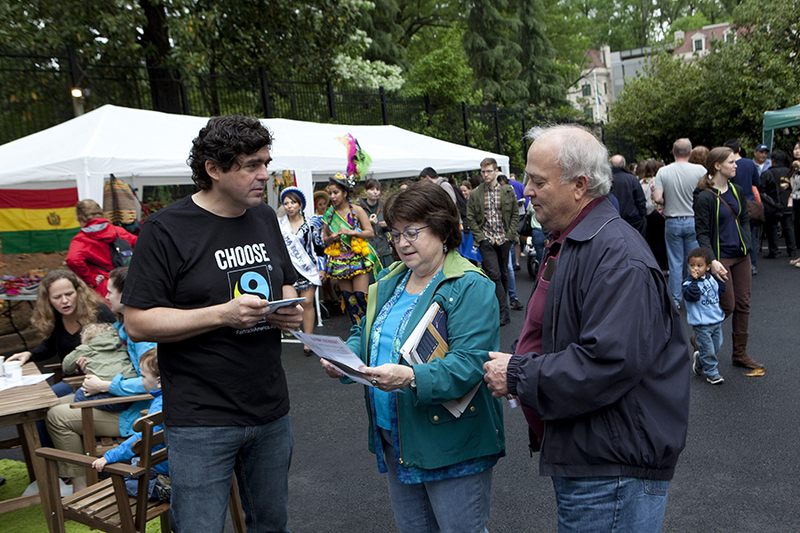 Remember, being fair is about more than just looking for a #FairTrade label (though that is an important part). 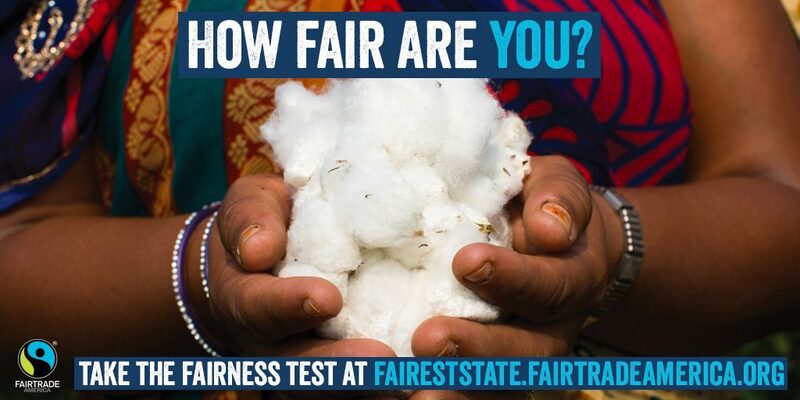 Being fair means thinking about the things you buy and how they’ve made their way to your shopping cart. Every bar of chocolate, every piece of gum, every single banana in the bunch has a story to tell. Here are a few facts and tips to chew on the next time you grab a shopping cart, or the next time you see a friend considering that tin of cheaply-produced coffee, or the next time you’re looking at a lovely black frock with a price that’s too good to be true (it likely is). Get the facts – Looking into where your food and clothes come from can help you live your values. Did you know that 25 million smallholder farmers grow 80% of the world’s coffee, but many aren’t earning a living they can depend on? Or that there over 20.9 million victims of forced labor and human trafficking around the world? These things aren’t fair. Investigate and get information on the reality behind what you buy. • Arm yourself with info from Fairtrade America’s section on farmers and workers. • Check out SlaveryFootprint.org to learn about your ‘Slavery Footprint’ and how you can help fight forced labor. • Check out the work of advocacy organizations, like Green America or Oxfam to keep up to date on current issues. Ask the tough questions – You have a right to speak up. Don’t just take what’s on the shelf. Let shop owners know that you’re looking for fairly traded and ethically-produced goods. Ask questions about where products come from. 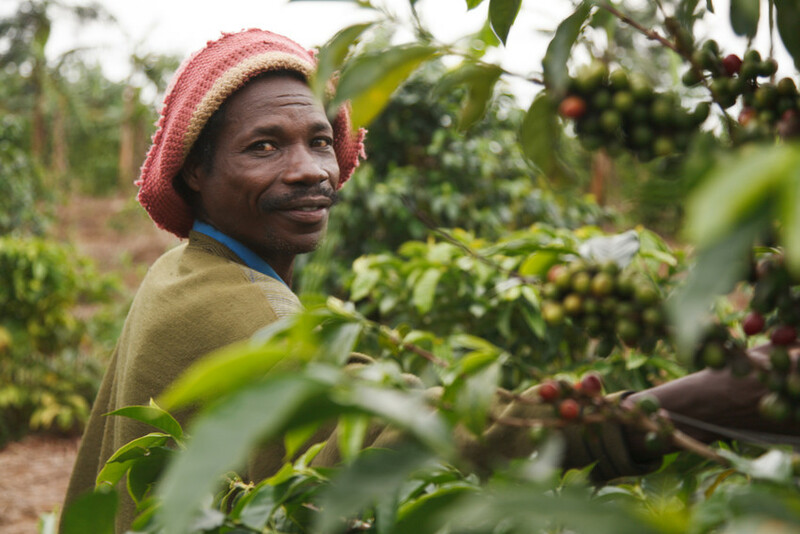 • Fairtrade certification helps Ugandan coffee farmers increase household living standards by 30 percent and significantly reduces the prevalence and depth of poverty (Chiputwa, et. 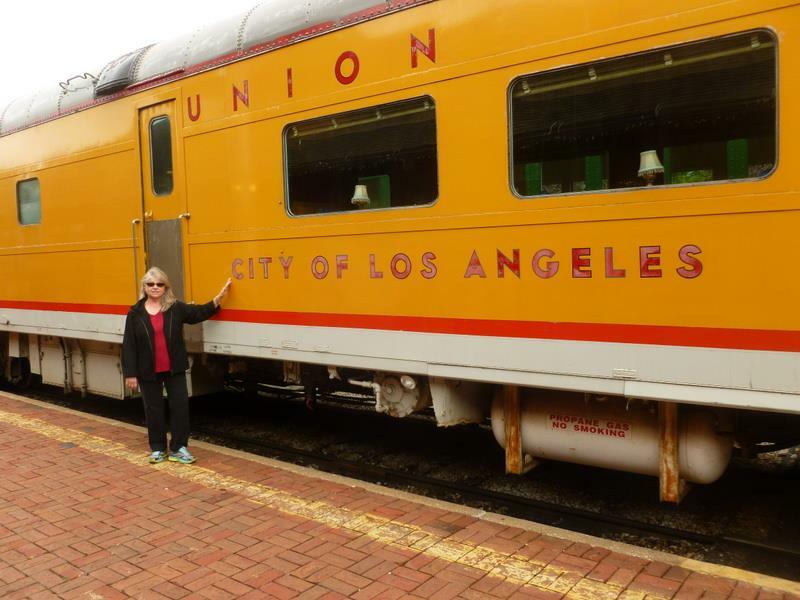 al, 2013). • Workers on Colombian banana plantations reported an average 34 percent increase in income due to their affiliation to Fairtrade. 98 percent consider that their quality of life has improved since joining Fairtrade (CODER, 2014). • In a sample of 51 Mexican coffee farmers (26 Fairtrade and 25 non-Fairtrade), there is a proven connection between Fairtrade certification and environmentally-friendly farming practices (Jaffe, 2012). 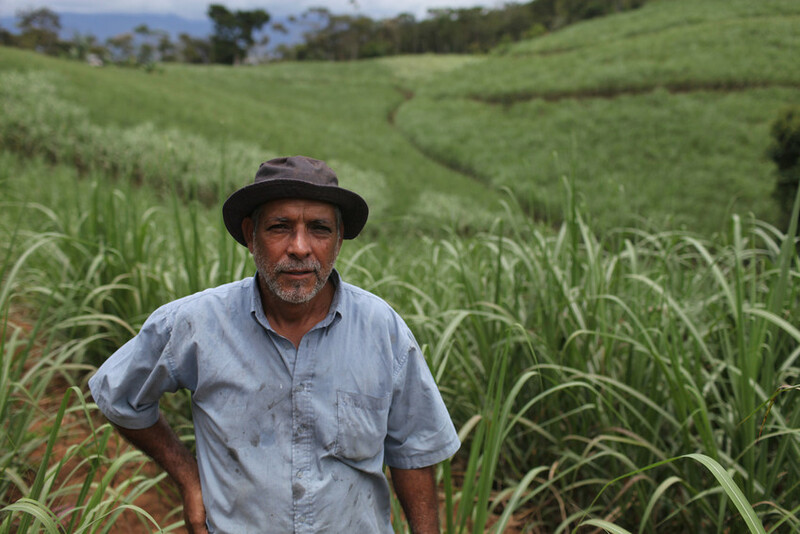 Fairtrade farmers and workers frequently tell us how certification helps them improve their businesses and their communities, but much of that impact comes when they can sell their products on Fairtrade terms. 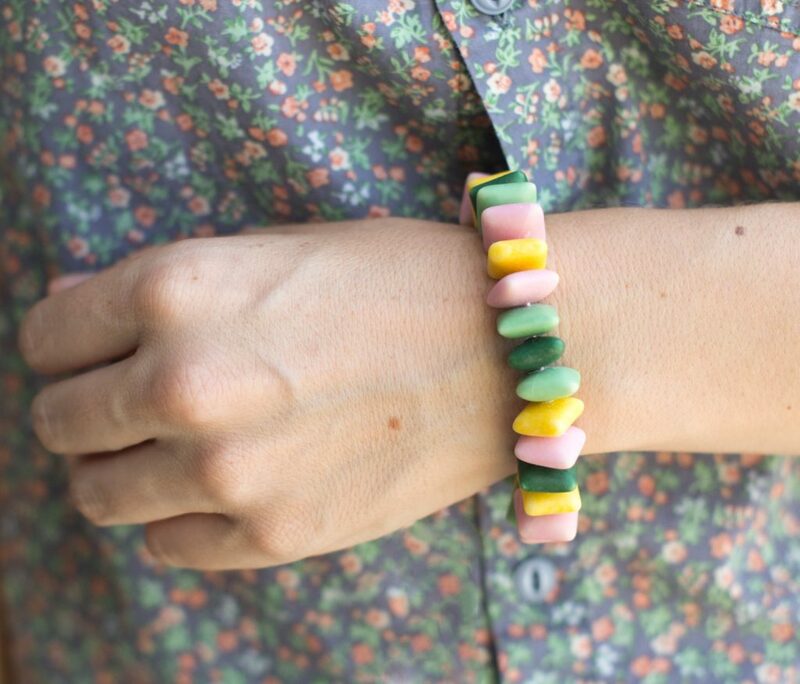 Support brands, like Glee Gum and others that carry the Fairtrade Mark. Remember that Fairtrade is just one part of the solution – Creating a more sustainable world is a huge undertaking and Fairtrade is one tool in your ‘change-maker’ utility belt! A good approach is to shop LOFTy – local, organic or Fairtrade – for maximum effect. Take the Fairest State Quiz – This one’s just for fun. Follow our friend ‘Greg’ through his day and help him make good, fair choices. Along the way, you’ll find out how fair you really are! Check out fairtradeamerica.org/faireststate. So, don’t just rest on your ethical shopper laurels. Cogitate before you masticate! Kyle Freund is a lifelong advocate of conscious consuming, from his youth growing up on a small-scale dairy farm in Wisconsin, to his service with cooperatives in the US Peace Corps, to his work with coffee farmers in Latin America. For the past six years, Kyle has helped Fairtrade International in Bonn, Germany, and Fairtrade America tell their stories and the stories of the farmers and workers they serve.